as a german witness and very engaged steemian, this post is all about @therealwolf. In his current contest @therealwolf writes how he has experienced and participated Steemit for over a year. How do you imagine my journey has been on Steem? Especially since I'd best start with the fact that I haven't been on the road on Steemit for a long time like many of you. In January 2018 I registered on Steemit and landed directly in the German community. In the German Discord Chat many people welcomed me in the first hours with warm words and helpfulness. 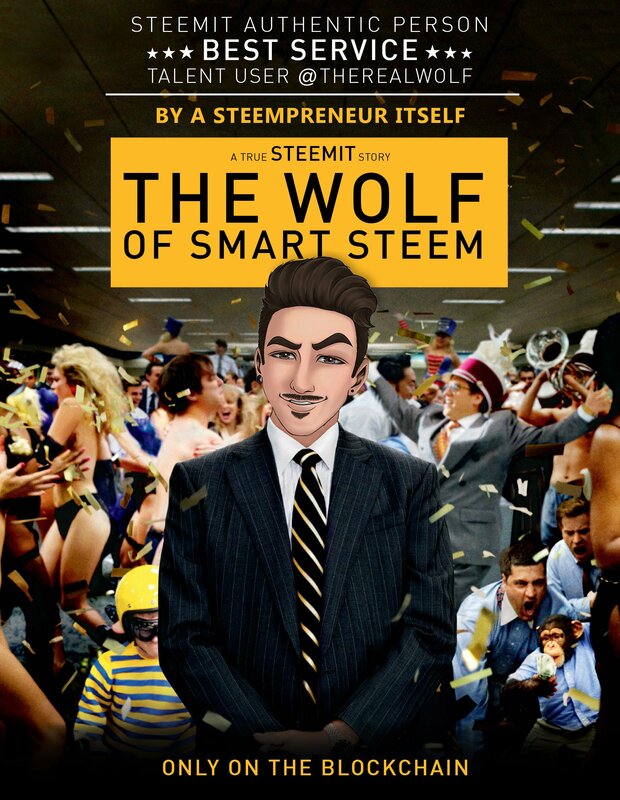 Looking back it was January 29th when I asked @therealwolf in the discord for help with the smartsteem service. There are no more times displayed in the history, but I am sure that on this first day on Steemit, therealwolf contributed significantly to the fact that I found the right entrance on the platform. I can only speak from this year's perspective, but what I have read and learned from @therealwolf so far has helped me in many things on the blockchain. The journey, as it still stands for all of us at the beginning of Steemit, I see for @therealwolf more than moving. Intuitive, progressive and innovative, he approaches changes to the Smartsteem service and offers many users stable support when it comes to the general Steemit topic, not just smartsteem. As a witness with future-oriented nodes and enormous know-how of blockchain technology, I see the way for therealwolf as stable and innovative. I learned that Steemit and Witness is his current purpose in life. It is in the nature of people to show themselves well and professionally to the outside world. a top 50 witness who updates the #witness-update and the category continuously and quickly is a sign of professionalism and security in my eyes. for the HF20, I see it as my own responsibility to update all servers quickly and informatively and also to implement the services with the new changes with regard to the changes to the hardware and to communicate them quickly to Steemit users. What comes to your mind when you read my posts? When therealwolf contacted me months ago as a test user for the Steem-Chat-Wallet this gave me the opportunity to participate in a larger dApp. Troubleshooting, ideas or suggestions for improvement have been integrated with my help and this is part of success and recognition for me. It was a lot of fun to participate in the dApp and while reading the official announcement of the Chat-Wallet's I rediscovered some functions that were tested and was very pleased about it. A post which I internalized after reading was the post about SBD is trading below 1 USD - what now? Here it was explained how internal some functions are and what to consider if the SBD price falls below 1 USD. Such and many other informative, understandably written posts are a feature of therealwolf - a passion he should continue for years to come. How do you see @therealwolf ? I am a communication person - Meetups, small meetings or the @steem.camp with many other Steemians are for me personally a basis of communication and connects people far over the keyboard or the voice chat. What I have been able to read, experience and learn from you so far are important things that I always like to share and communicate on my way on the Blockchain, on Steemit and in the communities. In any case, I wish you to go your way as a Steempreneur, to follow the trends and, of course, to be rewarded for your hard work with your projects. Goals are there to achieve them. As you wrote in your post, you haven't had a car yet, but you'd like a Tesla. That's one goal, and I'm sure you'll achieve it. I am already looking forward to a post about it! All I can say in the end is - stay as you are, do your thing. Since my first hours on Steemit you have been irreplaceable to me.